I'm so elated to start blogging about some of our wedding details! Next Monday I'll be announcing something really exciting, so stay tuned. 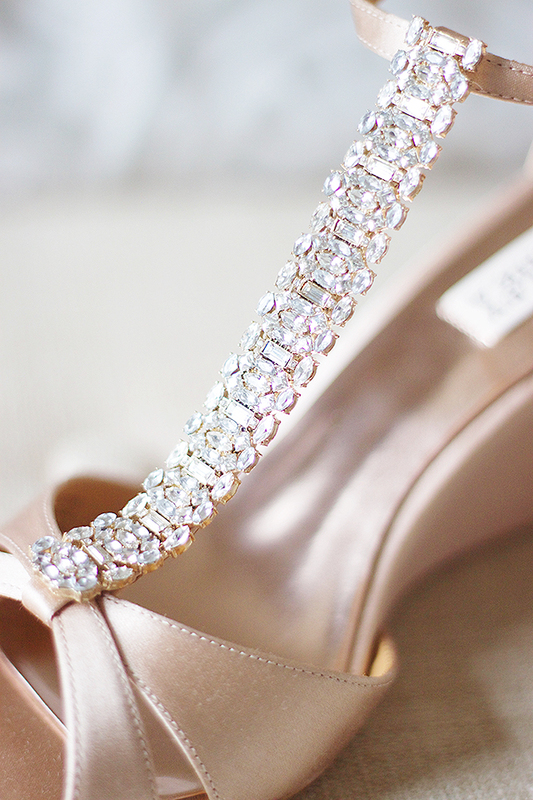 Until then, I thought I'd show off my wedding day shoes and give you some insight to my dress shopping experience. Just my mom and I went shopping, because we actually shop really well together and she knows exactly what looks good on me and most importantly, she can tell when I genuinely love something and wants me to be happy and feel beautiful. I found my dress at the first place we went looking, which I was surprised about! Because of all the workshops we put on for Bloom with styled shoots, I've tried on many dresses before and I knew what style I liked best, so I did have a good idea of what I wanted upon walking through the doors. Obviously I can't show you the dress, but goodness, I can't wait for September so I finally can show it off! 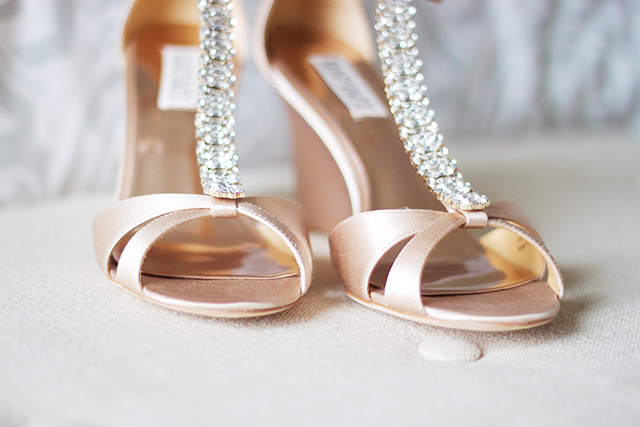 I can, however, show you the shoes I'll be wearing on our wedding day. I already showed my fiancé and he loved them. 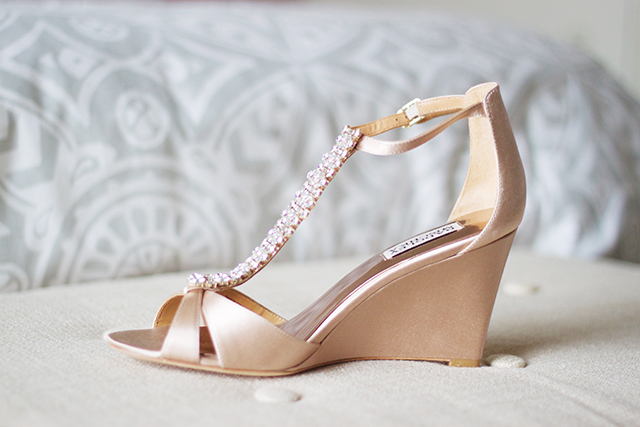 Because of our outdoor wedding venue and the ceremony location being on a lawn, I knew I wanted to wear a wedge. My mom went on the hunt and ended up finding these beauties in the perfect shade of blush. Our wedding colors are lavender, blush and navy, so the hint of pink will tie in perfectly (especially because the bridesmaids will be wearing soft pinks and lavenders). More on that in the coming weeks! 1. Only take people who you are confident will be helpful, kind, supportive and want what is best for you. A little honesty is key, but you don't want someone there who will hurt your feelings. After we said yes to the dress, I brought back my aunts and grandmas to see me in the dress. They all loved this and I found it very special! 3. Trust your consultant (if you're at a dress shop that has great stylists, that is!) If the style you thought you would like doesn't look good on you, be willing to try something else. 4. Make sure you do your hair and makeup the way you feel most confident, so when you're looking in the mirror at yourself, you feel beautiful! 5. 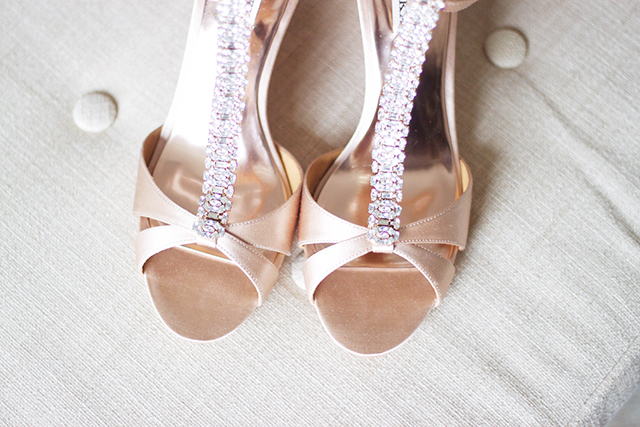 Bring shoes of your own that you can try on the gowns with. I brought a pair of wedges my mom has (similar to the shoes I ended up buying) to get the feel of what a wedge would be like. 6. Ask a lot of questions-- about the time the gown comes in, if they have recommended seamstresses or if they are in house, how the seamstress plans to shorten your gown (they almost always come in too long), etc. 8. Have fun and don't put pressure on yourself to find "the one" on day one. I just love my shoes oh-so-much! 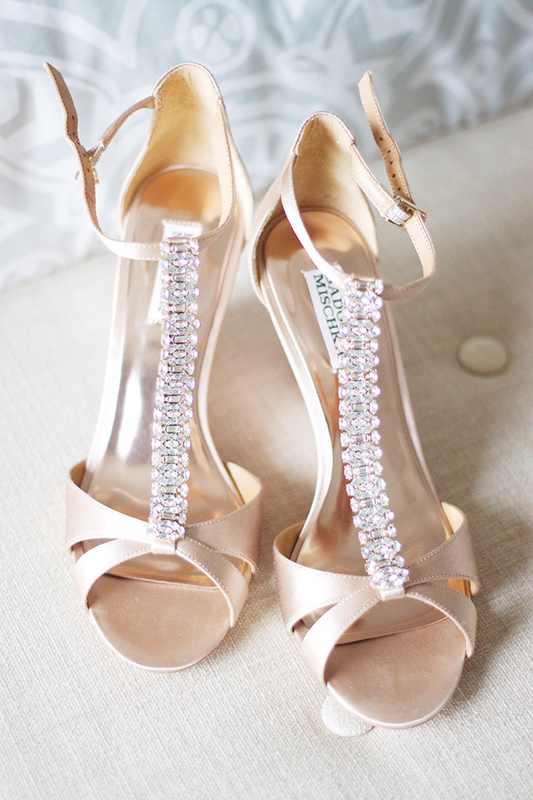 They are beautiful, SO comfortable, the perfect shade of pink and the rhinestone strap is smooth so it won't catch on the bottom of my dress at all. The shoes are amazing! Be sure to wear ball pads with them...the seam where the material changes is going to kill the bottom of your feet, trust me!! Stunning shoes! So smart to do the wedge!!! I've been looking at BM shoes for my wedding, too. They're just so pretty!